The 2019 Canada’s Food Guide was released on Jan. 22nd. The new recommendations push meat and sugar to the side and encourage lots of fruit and vegetables. It encourages people to drink water instead of juices, alcohol or dairy products. 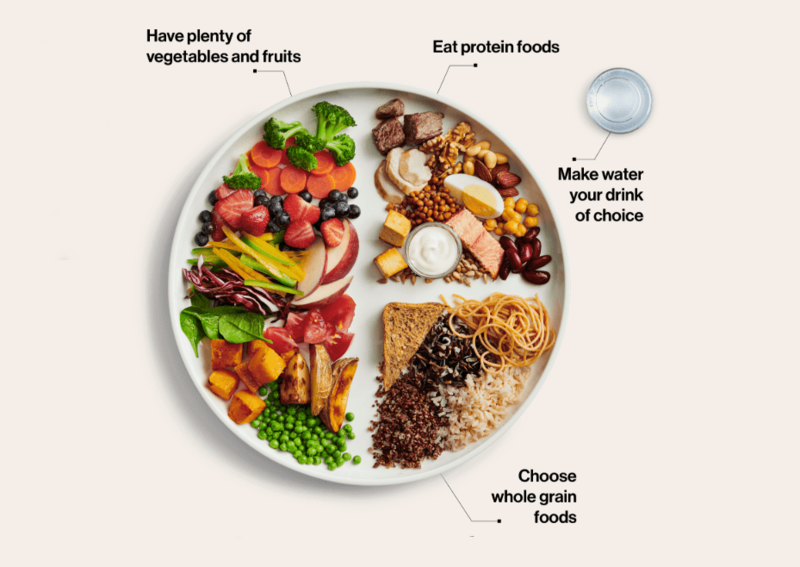 The style of the recommendations changes too with the new guidelines being represented by a plate half filled with fruits and vegetables with whole grains and protein each being given a quarter of the plate. The last time Canada’s Food Guide had a major update like this came back in 2007. This year’s update comes after extensive consultation and science-based evidence about what to eat and what to leave out of your diet. The last time Canada’s Food Guide had a major update like this came back in 2007. “We did a fair amount of research when evaluating the past food guide, and what we heard from Canadians was that is was very difficult and too complicated to deal with recommendations about a particular number of portions of a particular size,” says Hasan Hutchinson, the director general of the office of nutrition policy and promotion at Health Canada. Finally, the guidelines say half of the foods you eat should be fruits and vegetables. And gone is the milk and alternatives food group. What’s particularly interesting is that the guide not only recommends what to eat but how to eat. The new food guide recommends Canadians eat together, eat mindfully, cook more often and also take time to enjoy their food. Eat plenty of vegetables, fruits, whole grain foods and proteins that come from mostly plants: Eliminate foods high in saturated fat, like meat and cheese, in favour of foods high in unsaturated fat like avocados and peanut butter. Drink lots of water: Replace sugary drinks with water. Look at food labels: Know what the products you buy contain and compare them with the alternatives. Be conscious that food marketing can influence your dietary choices: Many foods that are heavily marketed contain too much sodium, sugars or saturated fat for healthy eating patterns.